Though a common and mild form of gum irritation, Gingivitis is a precursor to periodontal gum disease. Thus, it’s important to take it seriously and treat it promptly. In most cases, Gingivitis is a result of poor or inconsistent oral hygiene. Thus, it most often develops in those that do not brush and floss daily, and do not commit to regular dental checkups. Even so, the good news concerning Gingivitis is that is possible to reverse it with better oral health care and guidance from a reputable dentist. When it comes to Gingivitis, it’s important to understand that individuals often do not experience pain or discomfort. Rather, they might notice that their gums bleed when they brush or floss their teeth. They may also note that gum tissues are dark red and puffy. More advanced forms of Gingivitis might cause gums to pull away from teeth. Furthermore, a person may complain of tooth sensitivity or a bad taste in the mouth. The Mayo Clinic explains how Gingivitis occurs, beginning with the lingering presence of plaque on teeth and gums. As a sticky, colorless substance, plaque is loaded with bacteria from starchy foods and sugars. These must be removed everyday, because plaque re-forms quickly. If not removed, it hardens into tartar, which is a magnet for more bacteria. What’s more, tartar can only be removed through a professional dental cleaning. Otherwise, gums will become more and more irritated. Without question, when a person has Gingivitis, he or she is at risk for developing cavities, trench mouth or periodontitis. Though poor oral hygiene is much to blame, there are other factors that contribute to Gingivitis such as smoking, dry mouth, vitamin C deficiency, prescription medications, hormonal changes and other health conditions. That’s why it is imperative to keep up with regular dental checkups to monitor changes in one’s oral and overall health. 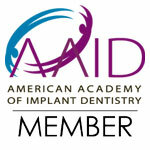 Start The New Year With A New Commitment To Your Oral Health! Perhaps you’ve missed your last dental appointment, or maybe you’ve noticed that your gums are bleeding when you brush your teeth. The team at Ora Dentistry encourages you to start the New Year with a new commitment to your oral health.